See Malibu boats, Axis Boats, Rinker Boats, Cruiser Sport Boats, Cruisers Inc, Godfrey Pontoons including the Sweetwater, Aqua Patio, and Sanpan models as well as the Hurricane Deck boats. Y.E.S. to Year End Sales! 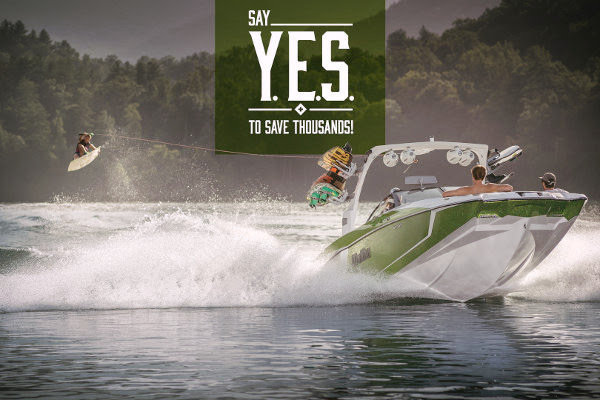 Huge savings with the Malibu and Axis Year End Sales events. 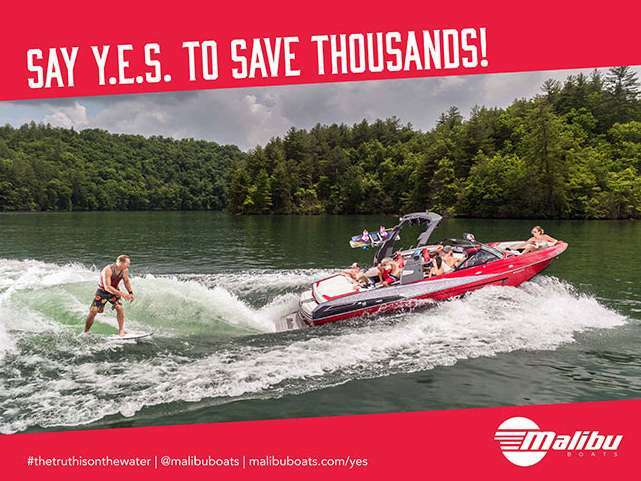 Take advantage of the unbelievable savings as Malibu rolls out the red carpet for this event. One of our helpful team members are here to help you pick out the perfect boat.